Regional and heirloom favorites, as seen on our Emmy-nominated TV show. Bringing America's best recipes home to you. After your free trial, just $1.46/Month. 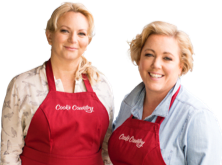 Every recipe, every rating, every article, and every video from Cook's Country! After your free trial, just $2.50/Month. Foolproof recipes for classic American dishes and everyday favorites. Food that's meant to be shared with friends and family. I Love Ramen but Hate the Flavor Packs. Help! Ask Matthew: How Can I Take Advantage of Leftover Bacon Fat? Yes! 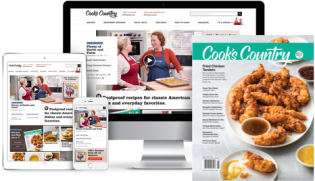 Please send my FREE TRIAL ISSUE of Cook’s Country Magazine. If I like it, I will pay just $19.95 for one full year (six issues, including my FREE TRIAL issue) and SAVE 44% off the newsstand price of $35.70. Otherwise, I’ll write cancel on the invoice, return it, and owe nothing at all. 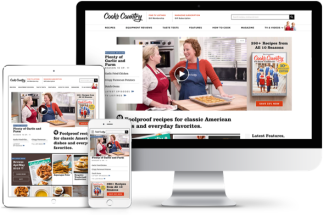 Your paid subscription will include all the benefits of Cook’s Country Automatic Renewal Program. Click here for details.